Creation's Journey to Life: Day 352: Occupy Wall Street and Zeitgeist: Can the 99% Count? 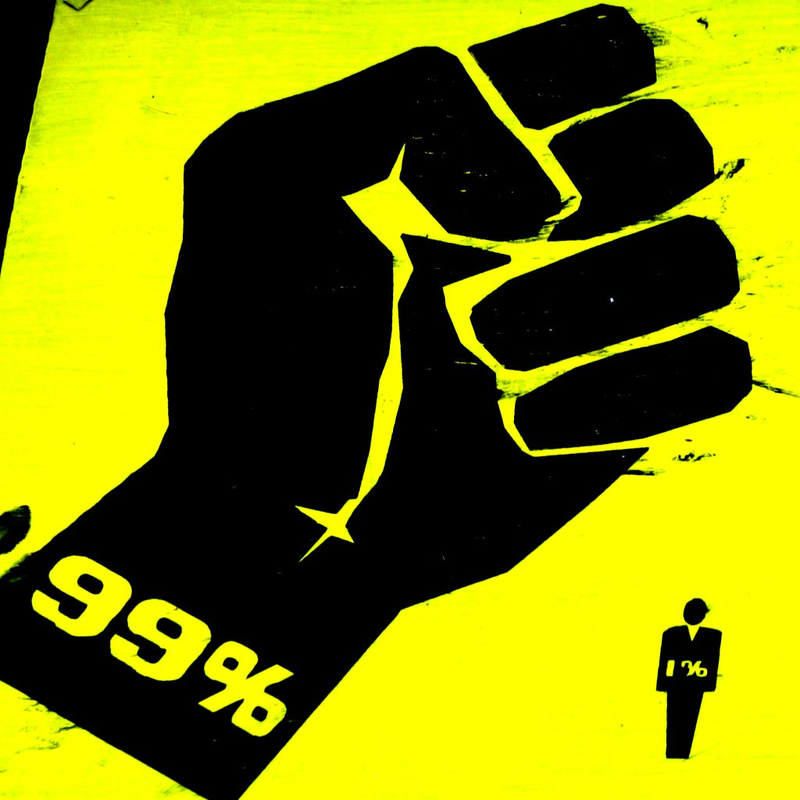 Day 352: Occupy Wall Street and Zeitgeist: Can the 99% Count? An interesting point to consider in the Position that is being held by the followers of Occupy Wall Street and by default for instance by the followers of Zeitgeist, is that: there is a 1% that Controls everything and a 99% that are in a sense ‘Slaves’. Strange enough, both these Groups Do Not Consider that in Democracy 99% is a majority, which means 51% puts a New Government in Place and 70% put a New Constitution in Place, which means One can Change All the Laws and All the Rules - and yet, seemingly, they cannot Do this Basic Arithmetic and still Propose that the Way that is Legitimate, which is Politics - Not be Used. The Question would be: Who Benefits from the Existence of Occupy Wall Street and Zeitgeist in their particular approach to Not consider Politics? Only the 1% that they claim Control and Own Everything Benefits. So, the question must be asked whether both Zeitgeist and Occupy Wall Street are not in some way Actually the ‘Brain-Children’ of the 1%, because it Occupies the People that Can make a Difference who are the 99% and those that Actively work towards Finding a Solution – They are all Occupied in Activities that Cannot Lead to any Solution. Instead, they are Occupied by Activities which involve some form of Violence, which means they get Tagged, they get picked up by Security Forces as ‘Possible Dangers to Society’ and so they get Marginalized completely without them even knowing. No matter whether you Wear the Mask of Anonymous, what happens is - You get Studied, You get Tracked, your Internet Presence gets Tracked and you get Tagged. Then, once you’re Tagged as being a ‘Danger’ / ‘Threat’, because you are willing to consider a Revolution: You are No Longer a Political Threat, You are Now a Threat to the System and Action can be Taken. You’ll notice, for instance with Occupy Wall Street - it became the Pretext under which to Create a greater Homeland Security System, More Security Everywhere, employing More People to Control those that Erroneously fell for the Big Lie. The ‘Big Lie’ that ‘apparently’, if you go En Masse and you Demonstrate - that ‘somehow you’re going to Change the System’. Revolution has Never Changed the System - it’s only ever Placed the Same type of People at the Top and you ended up with the Same Scenario. If you look at the Chinese Revolution, you’ll now see that China has become, possibly, a Copy of the American Society – Cheap Labor. Yet, and at the same time, Following exactly the Same Example, the Same Objective of ‘The Pursuit of Happiness’. One would never say they are a Communist Country. It all started with a Revolution, but you In Fact have a form of Dictatorship. You have the same in America, a form of Dictatorship where there is Only Two Political Parties which basically follows the Same Line of Approach no matter ‘Who’s in Power’ – Nothing Really Ever Change. Where’s the 99%? The 99%, if they were in Fact together as One, would be able to change - not only the Political System, but also the Constitution and therefore the Total System to what is Best. But, the 99% In Fact Judge the very System - Politics – the very Legal System with which This Must be Changed and Seemingly Cannot do the Basic Math to Realize that: a Majority in Democracy is 1%. Who’s Funding this? Who Benefits? Why can Those that Follow the Leaders that Present these solutions Not See that they are being Misled, that there is a Problem in their Basic Common Sense and that they Cannot bring about Change this way? Study Equal Money, Study an approach that is Based on Democracy, realizing that: If the 99% Really Wants a Better World - all they have to do is Stand Together, VOTE Together, place in a Constitution that is Best for All that protects basic Human Rights and - We have a New World! It’s Really not that difficult. So How can Those that are the 99% and that run around in Anonymous Masks not do this Math?